A proposal to seal court records that have been expunged is getting a lot of push back, with the majority of people who submitted formal comments saying the records shouldn't be kept secret. Civil Beat. In their first debate before a large audience this election, U.S. Rep. Colleen Hanabusa repeatedly questioned challenger Charles Djou's voting record when he briefly represented Hawaii in Washington, D.C. Civil Beat. 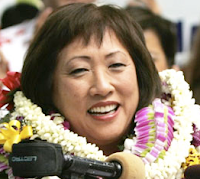 U.S. Rep. Colleen Hanabusa said Tuesday that her top priority would be job creation to help with the nation’s economic recovery if she is re-elected to Congress in November, while former U.S. Rep. Charles Djou, her Republican opponent, said he would focus on the federal government’s $16 trillion debt. Star-Advertiser. 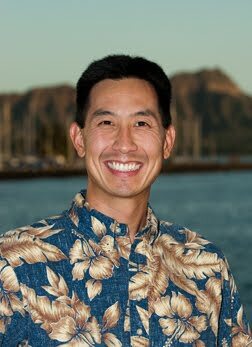 Former Congressman Charles Djou, running for his old job as the U.S. representative for urban Honolulu, has made being a dad part of his pitch to voters. Civil Beat. On Tuesday, September 25th, Hawaii Public Radio hosted a candidate forum for the First Congressional District in HPR’s Atherton. Incumbent Democratic Congresswoman Colleen Hanabusa faced challenger and former Congressman Charles Djou. Hawaii Public Radio. Candidates for Hawaii's first congressional district squared off in a debate on Tuesday.KHON2. A man who says he’s at least half Native Hawaiian but doesn't have the records to prove it is suing the state for not accepting DNA test results as evidence of his ancestry. Civil Beat. Hawaiian Airlines, state's largest carrier, which collected $32.6 million in baggage fees through midyear, is well on its way to eclipsing the record $56.6 million it collected in 2011. Star-Advertiser. Southwest Airlines may be a step closer to flying from the Mainland to Hawaii, but the airline says it is not ready to publicly discuss a timeline as to when that might happen. Pacific Business News. Seattle-based Alaska Airlines is partnering with Hawaii’s state Department of Education to give Isle students in public and private schools, as well as home-schooled students, the opportunity to create a design that will decorate one of the airline’s Boeing 737-800 airplanes. Pacific Business News. A research team has returned from research in the Northwestern Hawaiian Islands with new information on opihi reproduction. Associated Press. Researchers say preliminary evidence reveals that female ‘opihi or limpets live higher on the rocky shore than their male counterparts. Maui Now. A state Senate committee plans to press the University of Hawaii about its contract and tenure procedures, as the scale of its Stevie Wonder concert inquiry expands. The committee chair says loose ends revealed in the first hearing need more investigation, including something known as instant tenure. KHON2. A marathon Senate panel meeting Monday on a botched benefit concert revealed a dysfunctional UH leadership team, embarrassed the university and raised serious governance and operational concerns, onlookers said. Star-Advertiser. Senate hearings on the University of Hawaii's Stevie Wonder debacle are finally letting the public in on key information that UH leaders wrongfully sought to keep to themselves. Star-Advertiser. The former chair of the University of Hawaii Manoa Faculty Senate said the performances of UH President MRC Greenwood and Board of Regents Chair Eric Martinson before a special State Senate committee Monday were "terrible" and did not restore confidence in the university. Hawaii News Now. State roundup for September 26. Associated Press. Hawaiian Electric Co. has completed the second and final phase of a project to upgrade transmission equipment in urban and East Honolulu that includes "smart controllers" that will allow the utility to more quickly detect outages and restore power to customers. Star-Advertiser. Off the Beat: Deception at Honolulu Hale. Civil Beat. The city's Department of Planning and Permitting will hold separate community workshops to present the Downtown and Kalihi neighborhood transit-oriented development draft plans. KITV4. Council Chairman Dominic Yagong and the civil attorneys whose job it is to represent the county continued sparring over representation Tuesday, when Yagong abruptly canceled an executive session scheduled to discuss defending the county against a high-stakes lawsuit. West Hawaii Today. The primary contest for County Council District 1 saw five candidates face off in the Aug. 11 primary, with just 93 votes separating the two finalists, Valerie Poindexter and Chelsea Yagong. Tribune-Herald. More than 4,500 Hawaii County voters have either changed their addresses or registered anew since the August 11 primary registration deadline, but it's not clear when they will receive confirmation of their voter status. Hawaii Public Radio. Repairs to Milolii landing are completed and a prefinal inspection is scheduled for Thursday morning, said Department of Land and Natural Resources spokeswoman Deborah Ward. West Hawaii Today. Developers of the planned Honua'ula luxury golf community in Wailea say they're still committed to building the required affordable housing units tied to the project despite telling the state Land Use Commission there are no immediate plans to start construction in the near future. Maui News. The Maui County prosecutor's office is declining prosecution of nine people who were arrested on suspicion of gambling offenses when police vice officers executed search warrants at a Wailuku residence last month. Maui News. Citing distorted news releases and alleged lies from a defense attorney’s press release, the Kaua‘i Office of the Prosecuting Attorney has made recordings related to a civil lawsuit available to the public. Garden Island. The nine candidates running for one of the seven seats at the Kaua‘i County Council went through a battery of quick-fire questions Monday evening at the Historic Waimea Theater. The forum attended by approximately 60 people and hosted by the West Kaua‘i Business Association was the first of four events scheduled in four days this week. Garden Island. Oracle Corp.’s sailing team is canceling plans to train in Hawaii this winter for next year’s America’s Cup race in San Francisco, the team’s general manager said Tuesday. Associated Press. Djou is a great guy! He has my vote.